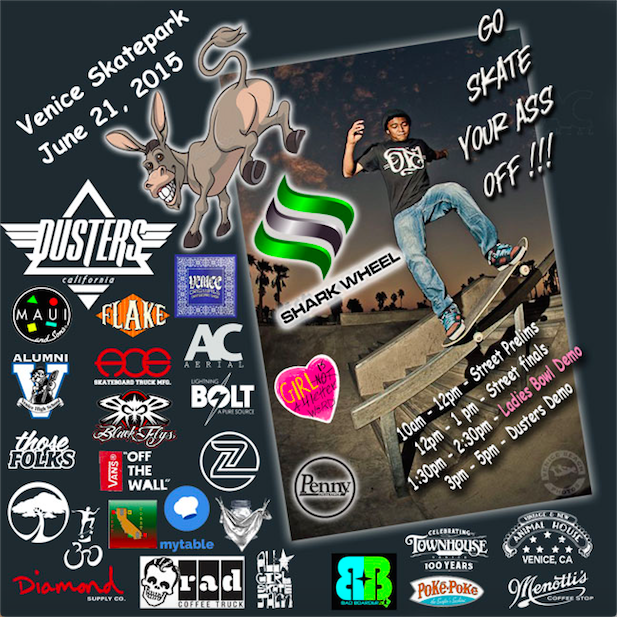 Girl is NOT a 4 Letter Word: Girls Bowl Demo in Venice on Go Skateboarding Day! Girls Bowl Demo in Venice on Go Skateboarding Day! Go Skateboarding Day is coming up soon! No better place to be, skate and have fun than Venice Skatepark. There will be contests, a girls bowl demo, giveaways, and more! Lets try and have the largest turnout of female skaters ever, so pre-register now so you can just show up and skate! The Ladies bowl Demo means all girls will get to skate, show off their style and tricks and have a fun session with girls only! If you forget to register ahead of time, or just want to join last minute, registration will be from 9 AM - 11 AM on day of event.